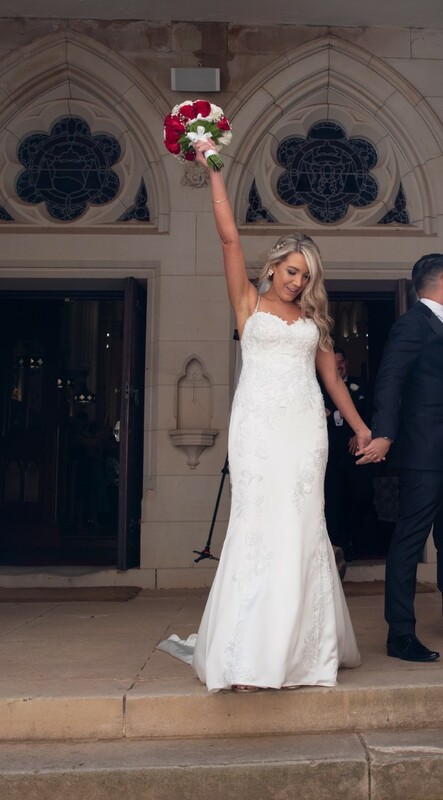 This beautifully fitted dress was purchased from Marry Me Bridal in Mosman in October 2018. It is a Pronovias dress with a sweetheart neckline with an elegant cathedral length train. It is made of ivory satin, mid-low backline with an invisible zip hidden with small buttons. It was purchased as a size 10 however alterations made be more like a size 8. It has built in cups (I am usually a 10C) and structured boning. It has been dry cleaned, however a few light scuff marks on the bottom of the trail, which would be completely removed if taken up. Veil is also for sale for $100. This dress was bought as a size 10 and was taken in (I am a size 8) and straps were made detachable. Dress was also taken up - I am 163cm tall.